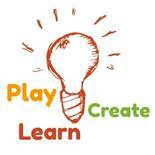 Are you an educator interested in enriching your teaching practices with play, games, and creativity? The Play-Create-Learn Summer Academy 2018 is designed to be the right professional development experience for you. In a flexible, modular set of highly engaging interactive sessions, we want to inspire you to experiment with, and reflect on, aspects and uses of innovative playful and creative learning activities in classrooms and beyond, with an eye to addressing the needs of today’s students as tomorrow’s citizens in the ‘brave new world’ of the 21st century. We will support you to adapt the training to your own interests and teaching realities, giving you a selection of practical case studies to choose from in order to build your path to playful and creative teaching practice. As part of this rich offer, you will have the option to focus on ENVISAGE, learning about innovate ways in which you can make use of state-of-the-art game analytics and game authoring in order to optimise students’ learning experiences in online virtual labs.